Who is Jose Ruiz? a true minimalist artist, his work is limited for sale at the open market, still every good collection in Puerto Rico should have a work of this talented artist. We can say that his work is a photo into Puerto Rico past, where we can see how were the traditions and customs of Puerto Rico back 30 to 40 years ago. A big mistake is to consider that his work is of little talent and technique. Taking this work of 1992 we can see how the painter had the talent to project an joyful aura countrymen and passive vibes, with a humility that was always present in our people. It’s amazing how he manages to capture the movement of the women as she tend clothes in the open air. Her sensuality is not pass unnoticed as she calls the attention of the man in the window. The flight of the hens is naturally superb, that hunter look projected by the black cat is to die for, and the quiet hammock attached to the house and the tree is almost an iconic reminder of our childhood. The colors selected by Ruiz are quite basic and of little beauty but nevertheless are very well selected, since the main point of this work was not beauty but instead was to force the viewer to remember without any abstract alteration Puerto Rico 40 years ago. The work of Ruiz is relatively accessible in price now a days, but finding one for sale is something else. At auction a small to medium size work may be fluctuating between $250-500 dollars. Everything depends on the year, size, and condition of the work and most important being the subject. A good recommendation is to try to get a piece of “constumbrismo” theme because this artist is mostly known for this kind of topic. The Museum of Art of Puerto Rico in San Juan has a very good example as part of there permanent collection for the public. Painter. Studied drawing, watercolor, caricature and printmaking at the Industrial Arts School in New York City. 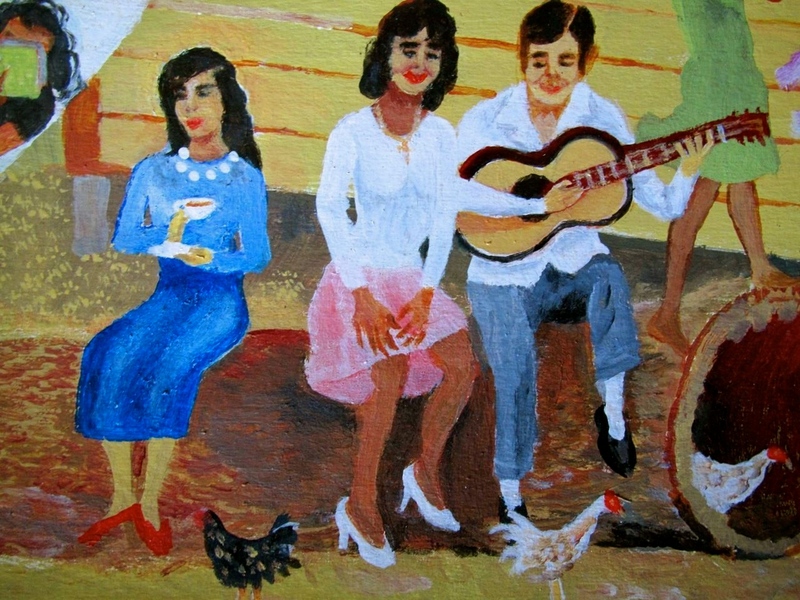 Back to the island, he created his paintings with furniture enamels on cardboard and sold them to tourists near the Caribe Hilton and Normandie Hotels, managing to create more than 900 works. 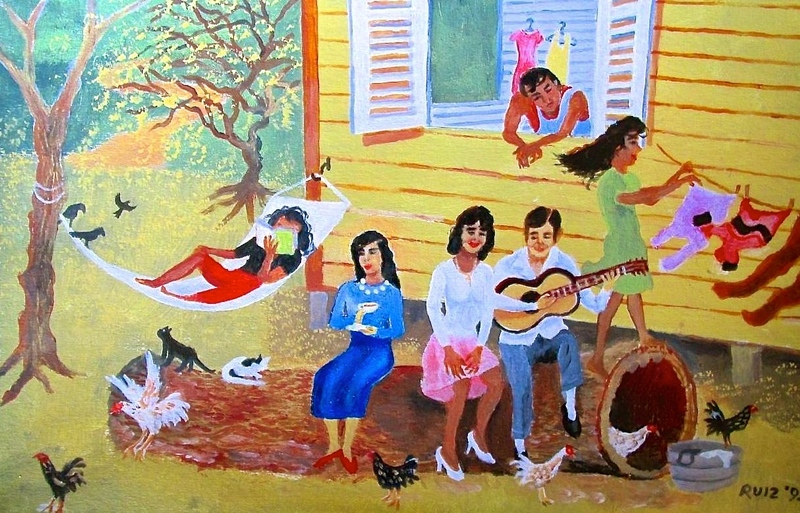 He is one of the representatives of Naive and popular painting in Puerto Rico. Since the 1960’s he has made a consistent body of work. 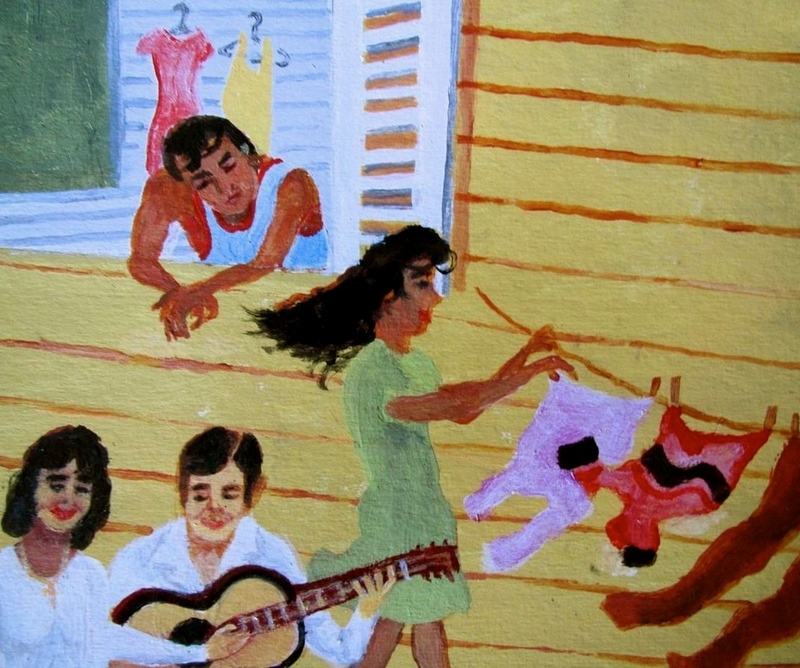 His paintings are characterized by the spontaneity with which the artist brings to canvas everyday scenes of life in Puerto Rico and in places like amusement fairs, plazas, beaches and markets. 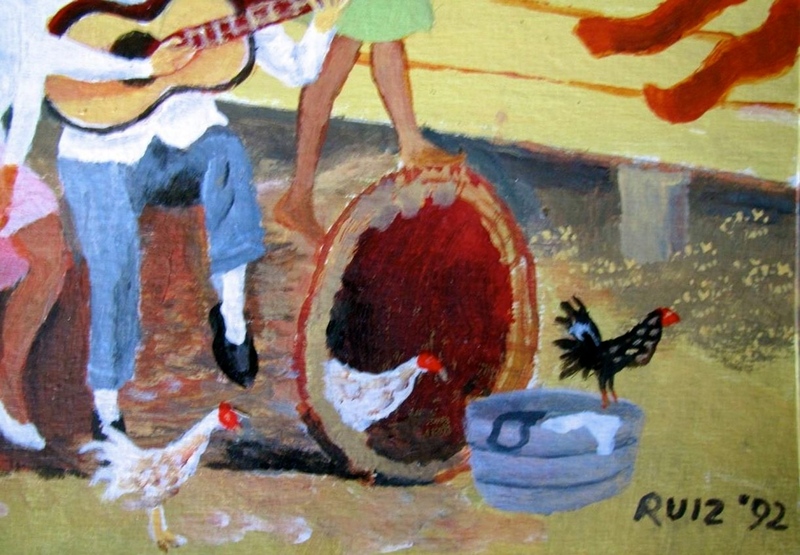 I have 3 of Jose L. Ruiz’s paintings done in 1978 when I lived on the island. I love his work!